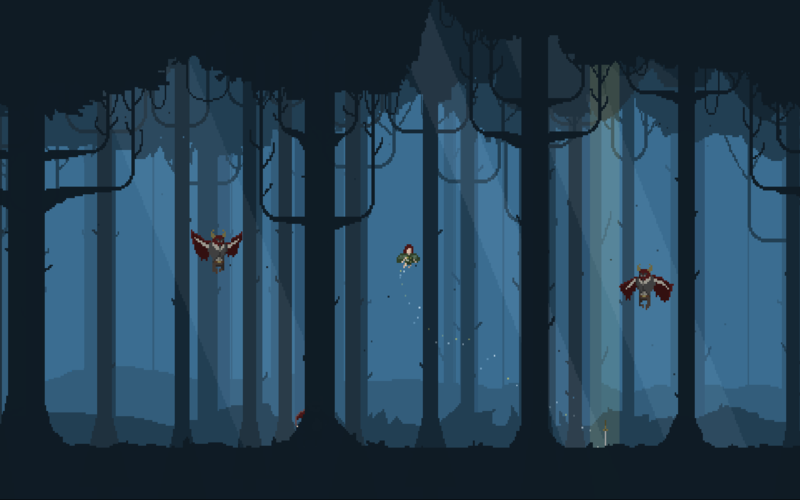 Created in 48 hours with little to no sleep, Mable is the story of a girl who is trying to save the forest from the demons who are draining it of colour. Unfortunately, her magical sword was made by an crazy wizard/blacksmith chap who decided to make it out of Osmium. To rid the forest of the evil creatures, you must drop your heavy sword and then recall it to your hand, killing anything the is stood in its way. I'll be working more on the game once I've played and rated as many other entries as I can. I'm thinking of turning it into something between Super Ghouls & Ghosts and Legend of The Mystical Ninja.